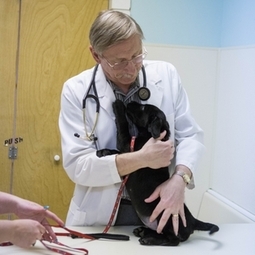 Our doctors offer a pediatric exam specifically tailored for growing puppies and kittens. We schedule extra time for every pediatric appointment to make sure we can answer any questions you may have about your new family member. Puppies and kittens will start a series of vaccinations between 6-9 weeks of age. In order to be fully protected, we give booster vaccines 3-4 weeks apart until 16 weeks of age. Intestinal parasites in puppies and kittens are not uncommon. We will also check your pets stool sample and administer a free banana flavored dewormer! For puppies, a heartworm test is not necessary until 12 months of age. At your new pets first visit you will also receive a free puppy or kitten pack that includes a 1 month heartworm and flea preventative.